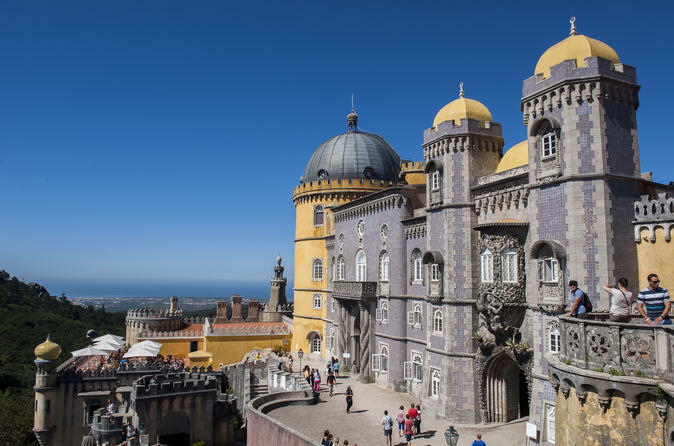 Get out of the city and explore Portugal’s gorgeous countryside on this 4-hour small-group tour of Sintra and Pena Palace from Lisbon. Wander through the magical small town of Sintra, designated a UNESCO World Heritage site, and sample a traditional ‘travesseiros’ (pastry with almond cream) or visit the National Palace on your own. Your friendly local guide will drive you through the enchanting Sintra National Park and usher you up the mountain to Pena Palace. After spending some time exploring on your own you’ll return to the bus to travel back to Lisbon.